Located in Mumbai, Maharashtra, India, our organization is a leading manufacturer, supplier and exporter of LED Down Lights, LED Panel Lights, LED Tube Lights, LED PL Lights, etc. Marketed under the brand name Lumitis, our LED lights are easy to install and highly durable. Further, these consume very less power and emit less heat in comparison to traditional lights. 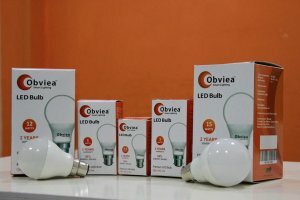 Manufactured using cutting edge techniques, our lights need no maintenance and last for a very long time and products do not contain mercury and hence, are eco-friendly.